Jägerschnitzel means “hunter’s cutlets” in German, and the dish was originally made with venison or wild boar backstrap, pounded thin. It is now normally made with pork, and the Texas specialty chicken fried steak is believed to be an outgrowth of this dish brought to the USA by German immigrants. 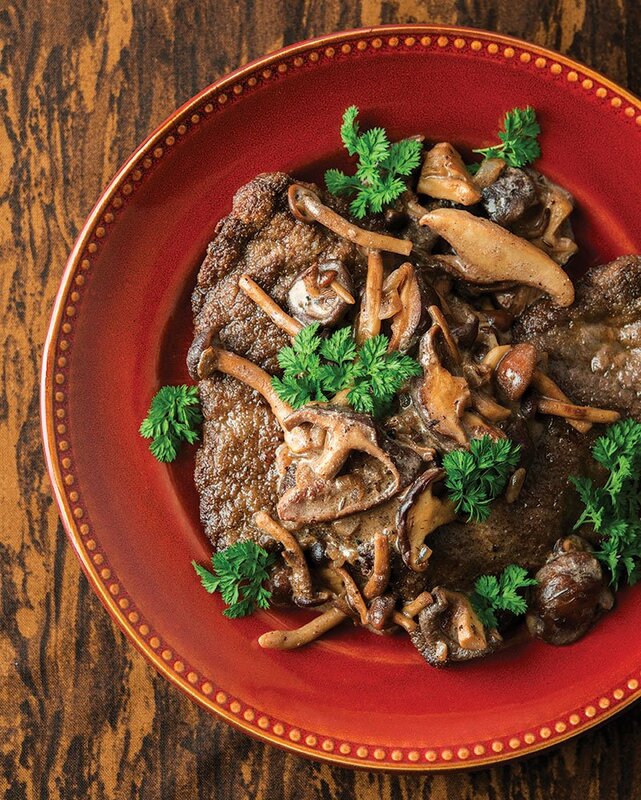 Jägerschnitzel at its core is a thin cutlet of meat served with a mushroom gravy. Potatoes — boiled, mashed or in a salad — are a traditional side dish. It is a manly meal, and the only green thing allowed is, occasionally, parsley. 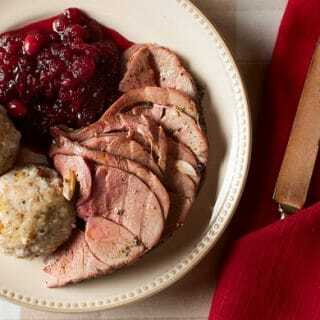 This is an ideal recipe for venison backstrap, but it will be just as great with wild boar medallions, wild duck breast — and venison heart. Yes, venison heart. You open up the heart like a book and trim away any vein-y stuff, then pound the heart thin the same way you would with any other meat. It is absolutely delicious. Try it sometime. You’ll thank me later. Incidentally, there are lots of varieties of schnitzel. Here is my recipe for wiener schnitzel, another classic I often do with pheasant breasts, but veal, pork or other light meats would work well, too. 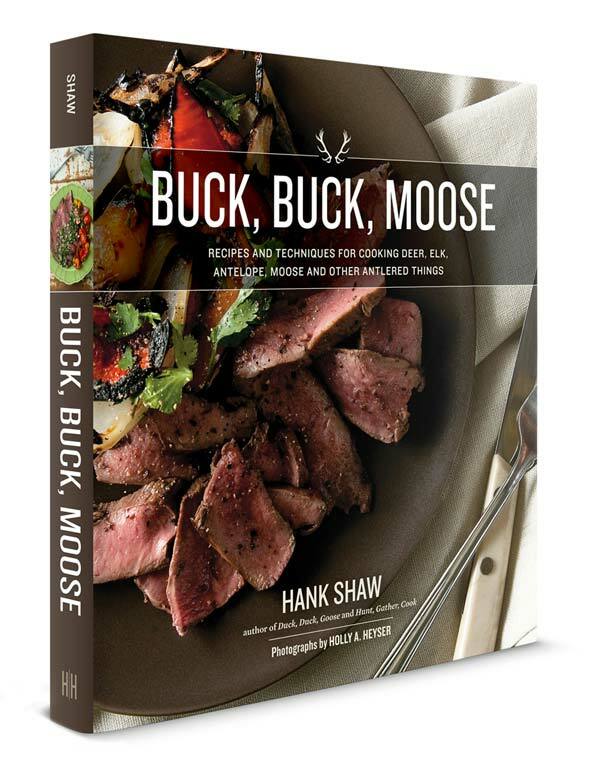 You'll find everything you need to know to master venison in Hank Shaw's cookbook Buck, Buck, Moose. Traditionally you would not flour or bread a cutlet for jägerschnitzel, but sometimes I like a light coating of flour. Do not bread it, though. That's wiener schnitzel, or milanese. Both are good, just different. What mushrooms to use? Historically you would use regular button mushrooms plus chanterelles. I say use anything you want, but use a variety of mushrooms. I like those "chef's sampler" packs you can get in the store. Place the meat between two pieces of plastic wrap and pound until it is about 1/8 inch thick. Do this firmly, but don't wail on the meat or you will tear it. Trim the cutlets to an even shape if you want. Set a large sauté pan over high heat for 1 minute, then add the mushrooms to the hot, dry pan. Shake them around so they don't stick too much and cook the mushrooms until they give up their water, about 3 or 4 minutes. Add 2 tablespoons of the bacon fat and onions and stir-fry everything until the onions begin to brown, about 3 minutes. Remove the mushrooms and onions and set aside. Add the 2 tablespoons flour and mix with the fat in the pan. Turn the heat to medium and let the flour-and-fat mixture cook until it is the color of coffee-with-cream. Slowly pour in the stock, plus any juices that have come off the cutlets while they rest. You should have a thick gravy. If it is thin, let this boil down a minute or two. If it is really thick, turn off the heat, wait for the sauce to stop bubbling and stir in the cream. Add the mushrooms and onions back to the pan and toss to coat in the sauce. Add salt and black pepper to taste. Pour this over the cutlets and serve at once. You can find more recipes for all varieties and all cuts of venison here on Hunter Angler Gardener Cook. 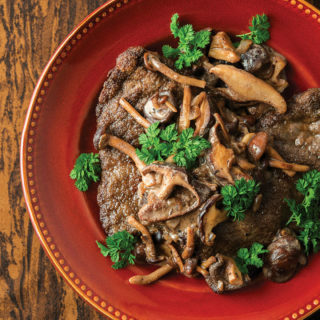 Jaeger schnitzel is traditionally made from the heart of deer or wild boar. It has become the traditional meal of our house on the day of a successful hunt. If my wife or kids hit a hog or deer in the heart, we will jokingly say “You’ve ruined the best cut of meat” in a joking manner. Made this with mallard tonight and liked it a lot. Your recipe and instructions are great. Had a similar dish outside on Munich last fall, Rehkeule Schnitzel. Excellent.